All Spring classes are held at The Dance Space at 280 E. Hersey Street #10 in Ashland. All improv classes will participate in Showcase Performance for family & friends on the last day of class. Performance classes will have public performances on May 11th & 12th. Actors rehearse two times a week to prepare for a public performance! PUBLIC PERFORMANCES: Saturday May 11th at 7pm and Sunday, May 12th at 3pm. Theatre games that enhance listening, body awareness, and cooperation while channeling active imaginations. Students create lots of stories to act out! 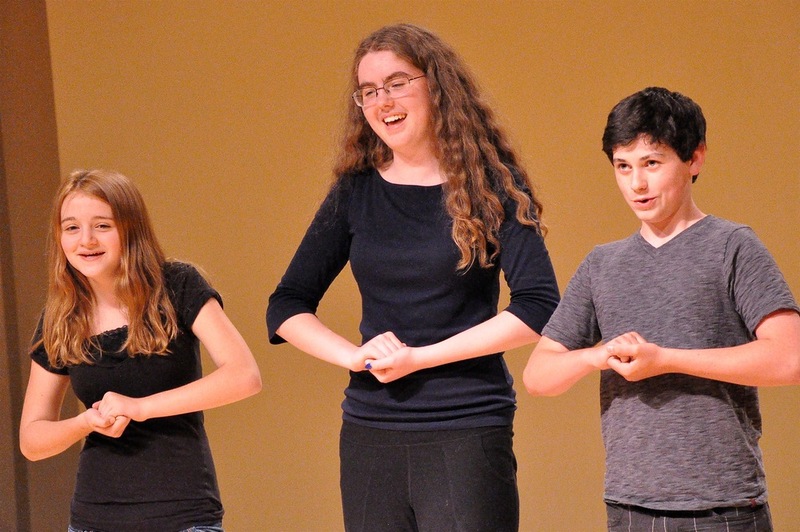 Students will play improv games and learn to bring their spontaneity on to the stage, along with ensemble building, character development, and narrative skills. MAKE BELIEVE EXPLORERS & CREATIVE IMPROV FUN will have a Showcase Performance for family & friends on their last day of class. TEENPROV has PUBLIC PERFORMANCES: Saturday May 11th at 7pm and Sunday, May 12th at 3pm.